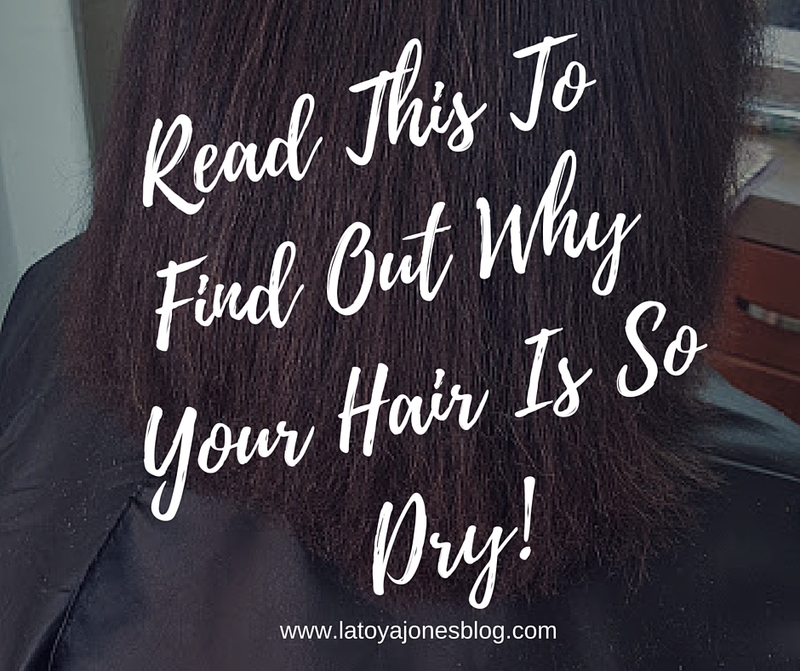 Read This To Find Out Why Your Hair Is So Dry! I hear a lot of women say the number one problem with their hair is dryness. There are several reasons why hair tends to become dry, and knowing exactly the cause for your particular situation will help you find a solution that much faster! 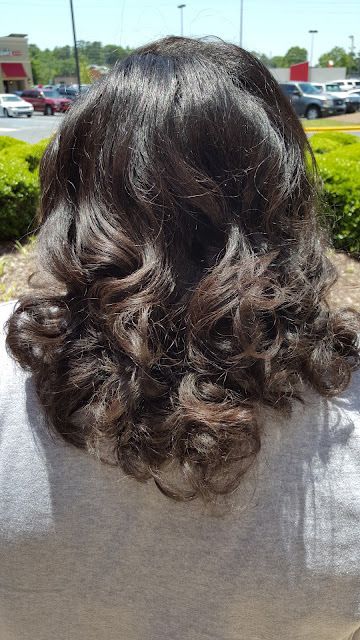 One of the reasons why Silk Hydration by L. Jones sells so well is because so many women are looking for something to moisturize their hair. However, when tackling the issue of dry hair, you want get to the root of the problem in order to stop it permanently. The first thing I ask when a person tells me that have dry hair is are they drinking enough water? (Read here for info on how water plays a major part in hydrating your hair). If you are getting enough water daily, here are some additional reasons why your hair may be dry. 1. Making the water too hot when shampooing- When the water you use to shampoo your hair is too hot, the cuticle of the hair is raised more, allowing all of the moisture to come out, causing the hair to look dry. Instead, use warm water, and rinse the conditioner with cool water to trap the moisture inside the hair shaft. 2. Shampooing too frequently- Excessive shampooing also washes away all of the natural oils and moisture out of the hair. Only shampoo once per week (preferably with Silk Hydration products) or when you notice excessive product build up on the hair. 3. Excessive use of styling tools- Excessively using curling irons and flat irons can not only dry the hair out, it can also burn the hair out! Limit your use of these tools to once per week or less and always use the lowest setting for your hair type. 4. 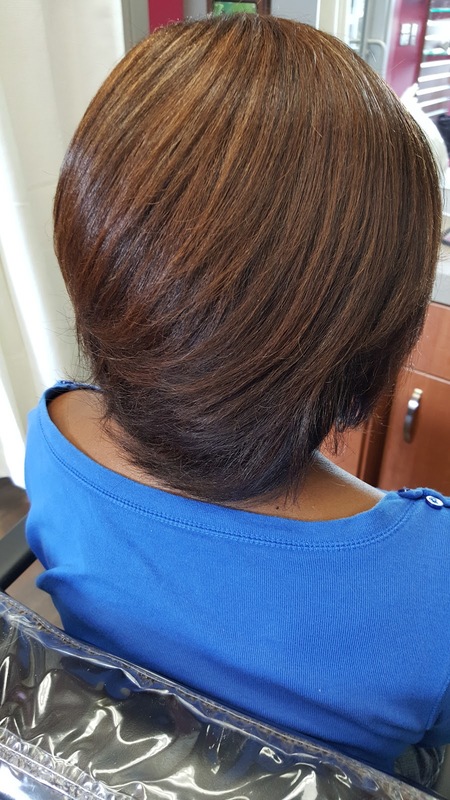 Improperly using harsh chemicals (relaxers and hair color)- When receiving these services it is very important to properly moisturize the hair to offset the drying effect they have on the hair. Failing to do this always results in dry and frizzy hair. And remember, always let only your trusted professionally licensed stylist to perform any chemical service on your hair! 5. Shampooing with harsh products- Although this sounds silly, there are some people out there who will use whatever they can get their hands on to shampoo their hair or will try any "at home remedy". Never use dishwashing or laundry detergent to shampoo your hair. They contain harsh ingredients that are not intended to be used on the hair. Instead, try the Extreme Clean and Extreme Moisture shampoos in the Silk Hydration by L. Jones line. 6. Overexposure to the sun- Too much sunlight can have a major drying effect on the hair. If you will be in direct sunlight often, either wear a hair or opt for protective styles such as sew ins, braids, or even wigs. 7. Shampooing with hard water, or water containing harsh minerals- Certain geographical areas contain harsher or "harder" water than others. If you have hard water, try boiling some water, allow it to cool, then use to shampoo your hair. You can also buy a water softener, or use bottled water to shampoo your hair. Having dry hair means that your hair is not in its healthiest state. Finding the root of the problem will help you get that much closer to having the healthiest hair you can possibly have!